A Big Thank You to the Sponsors of our Competition and those who have helped us through the year. Scotia Gas Networks, which is very kindly sponsoring the 2013-14 competition for Scotland and the South. SGN also kindly paid for our advertorial for the 2012-13 competition in First News. Wales & West Utilities which is kindly sponsoring the 2013-14 competition in Wales. Northern Gas Networks which is kindly sponsoring the North of England for 2013-14. National Grid which is kindly sponsoring the 2013-14 competition for the first time and paying for the House of Lords tea. Honeywell which has again kindly supplied us with alarms to EN 50291 this year. British Gas which has sponsored our badges for the prize giving in 2014. The Guild of Master Sweeps, who generously gave us a donation last year. John O’Leary, who made the course possible by drawing more pictures for the course. Danielle Royce & Cerys Canning – who have helped with this event. 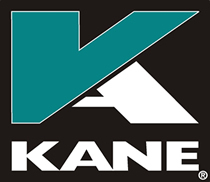 Kane International – which has kept us going generally.